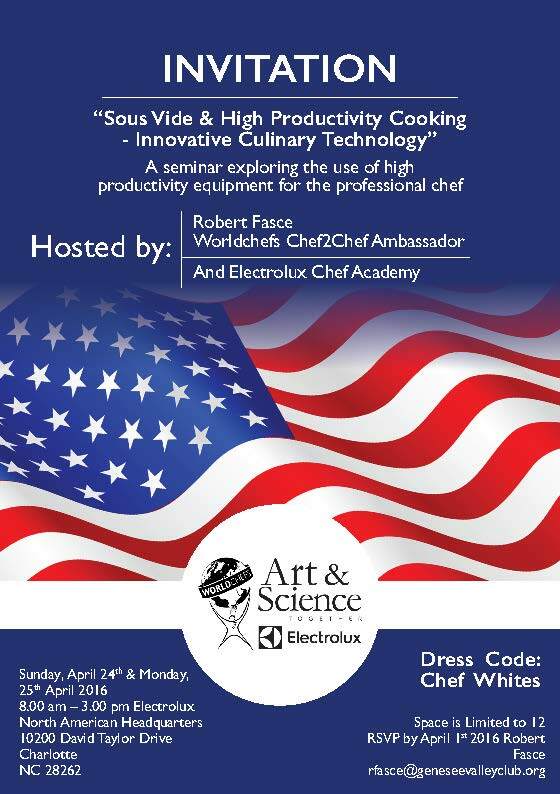 The new Sous vide & High Productivity Cooking seminar will take place the 24th & 25th of April 2016, at the Electrolux North Headquarters , 10200 David Taylor Drive Charlotte NC 28262. Space is limited so please RSVP by April 1st. To reserve email here.